Paul’s experience in the public sector includes serving as city engineer for five smaller cities, and most recently serving as the lead for the pathway element of the SMART project to construct a 70-mile commuter rail and multi-use pathway from Larkspur to Cloverdale. His 30-year career has focused on the design and delivery of bicycle and pedestrian projects and other transportation facilities. Paul enjoys cycling, travelling, and experiencing how cities and communities here and abroad utilize their streets and public spaces. His wife often wonders why he is taking photos of signs, pavement markings, and especially manhole covers. Paul has 30 years of experience as a design engineer and project and construction manager for on-street, bikeway, park, drainage, bridge, and utility projects for cities and counties in California. Many of these projects have been in environmentally and politically sensitive locations requiring community involvement, compromise, and creative design and construction solutions. He has managed dozens of bikeway projects including master plans, feasibility studies, conceptual plans, analysis of surfacing materials and accessibility barriers, environmental clearance, final design, and construction. 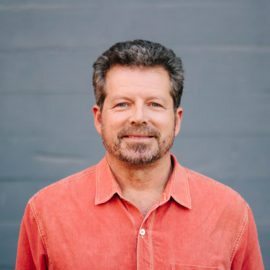 Paul also has over 20 years experience as city engineer having served in this position for the towns of Windsor and Yountville, and cities of Sausalito, Sebastopol, and Clearlake.